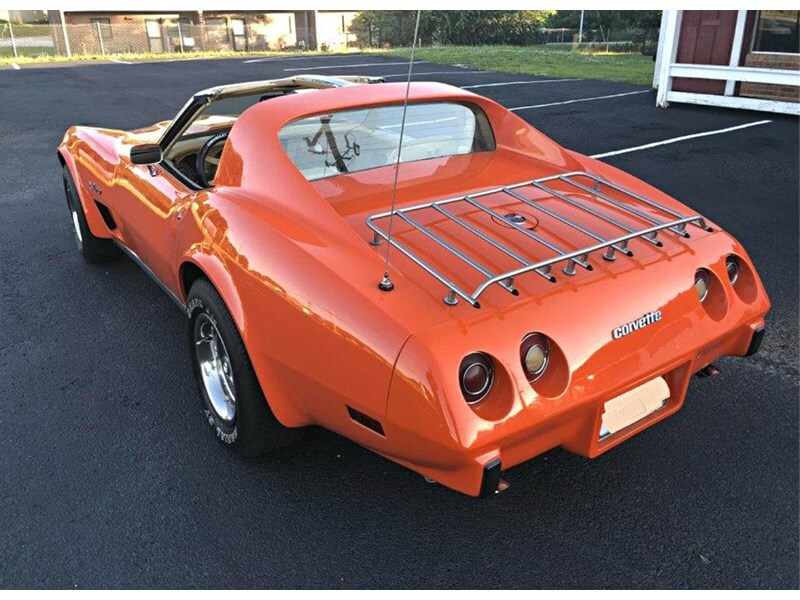 1976 Chevrolet Corvette Stingray C3 2-Door Coupe powered by a 5.7L 350cui V8 GM Chevrolet L48 small block engine and driven by a M20 4-speed manual transmission. 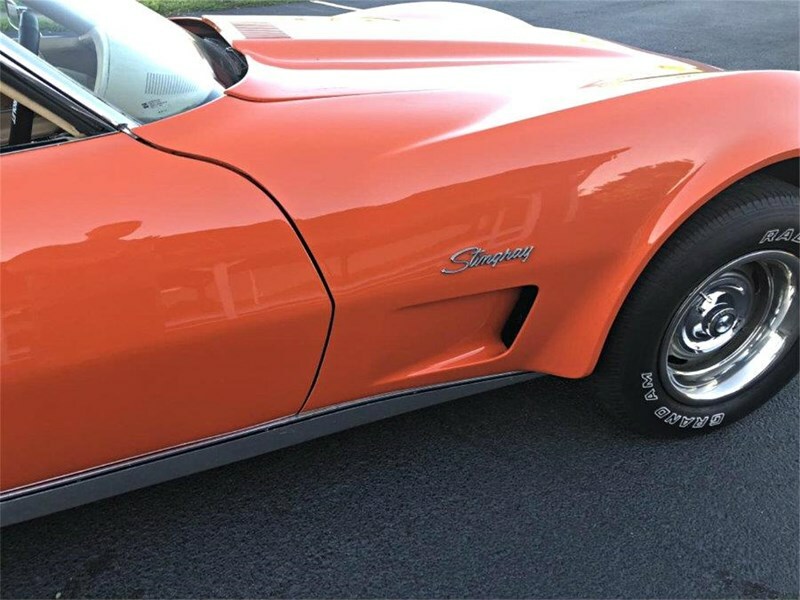 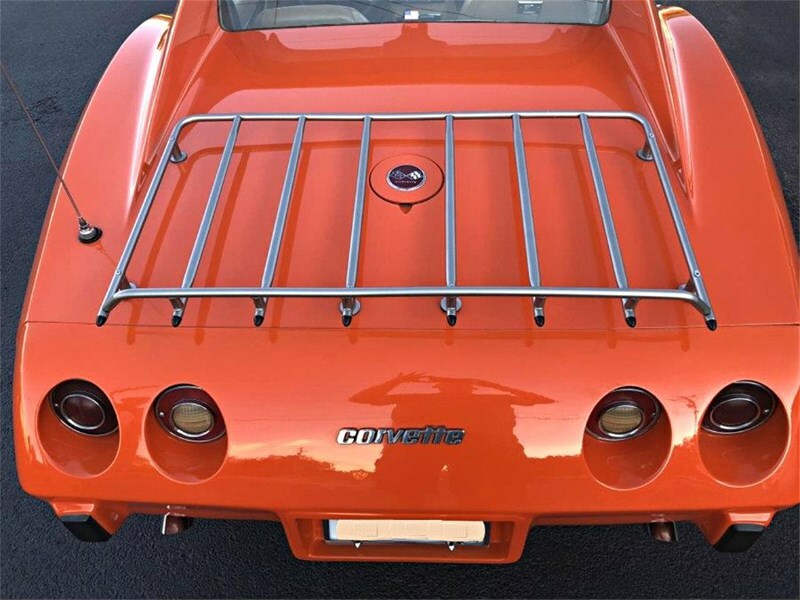 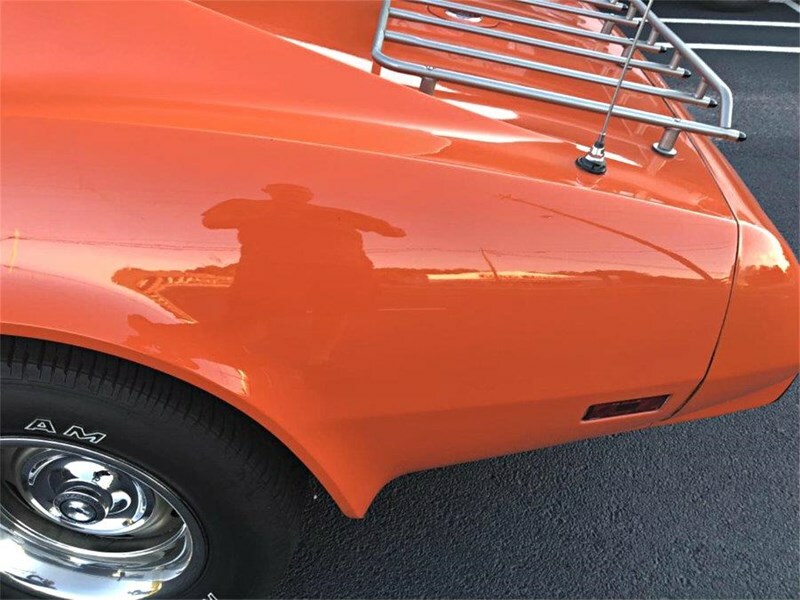 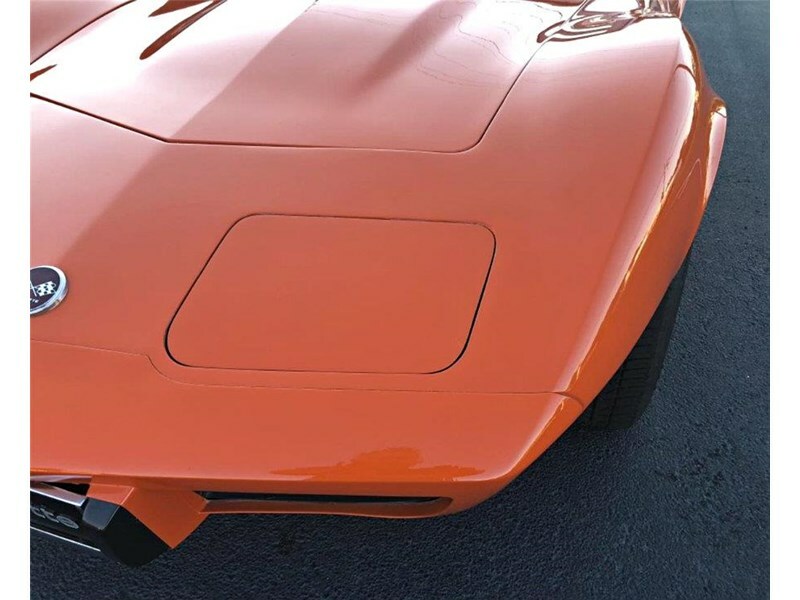 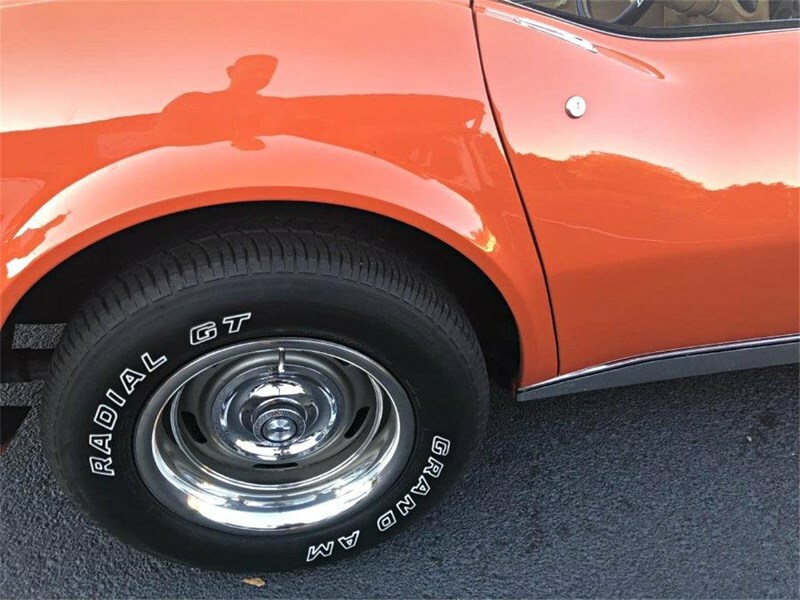 For 1976 the Corvette sported a new modified hood that directed air close to the front of the car at the radiator, 'Astro Ventilation' was removed and the ducts on the rear deck were removed along with it. 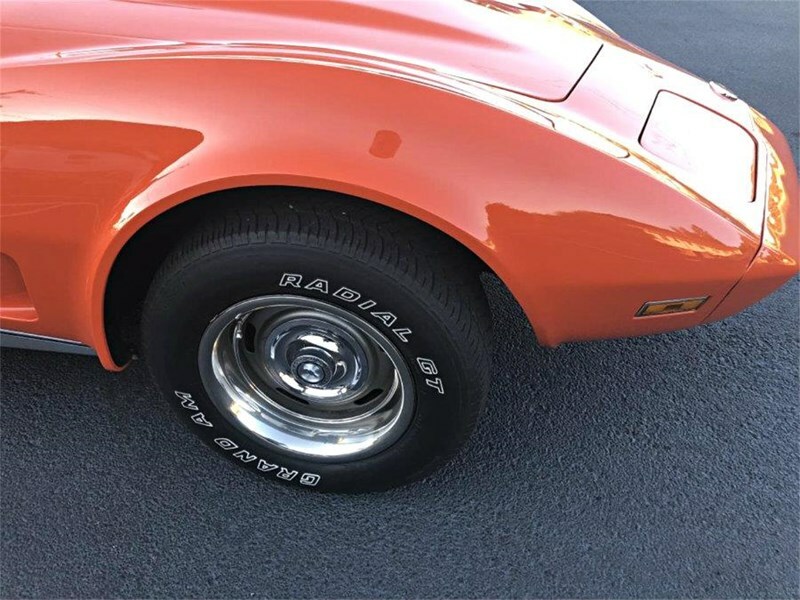 Aluminum wheels were now available, and so was a new Turbo Hydra-Matic 350 transmission that was lighter and improved shifting at wide-open throttle. 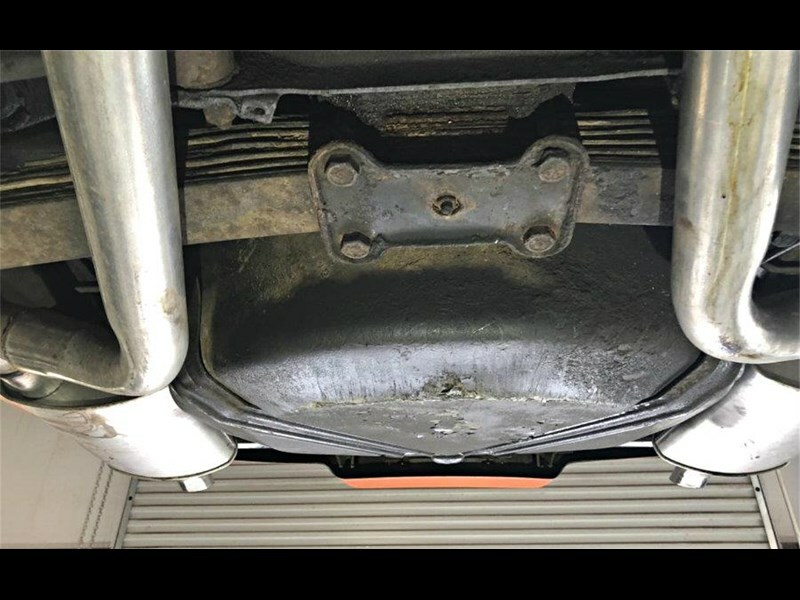 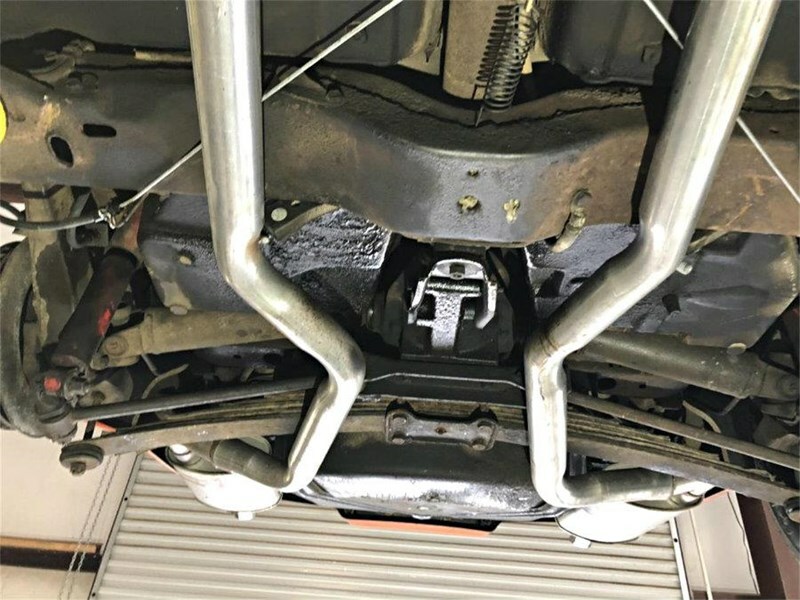 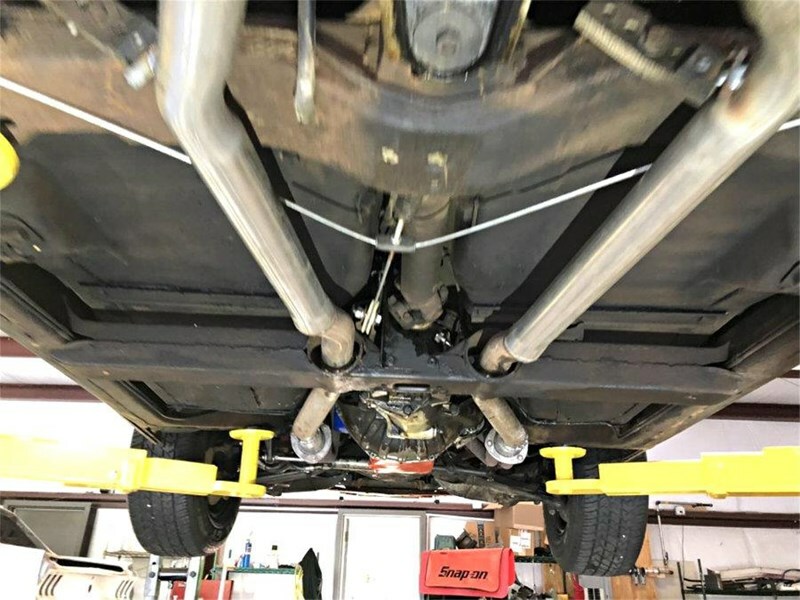 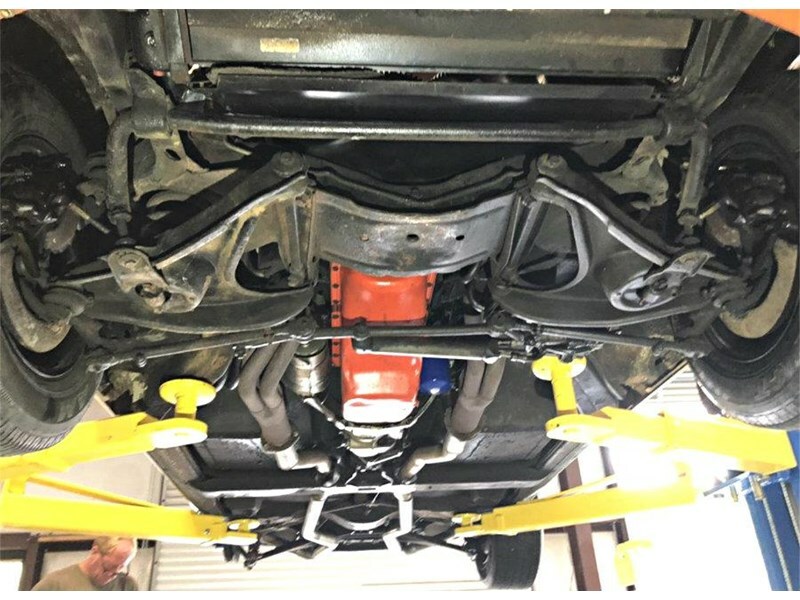 A partial steel underbody replaced some fiberglass to improve rigidity and block out excess heat from the engine and transmission. 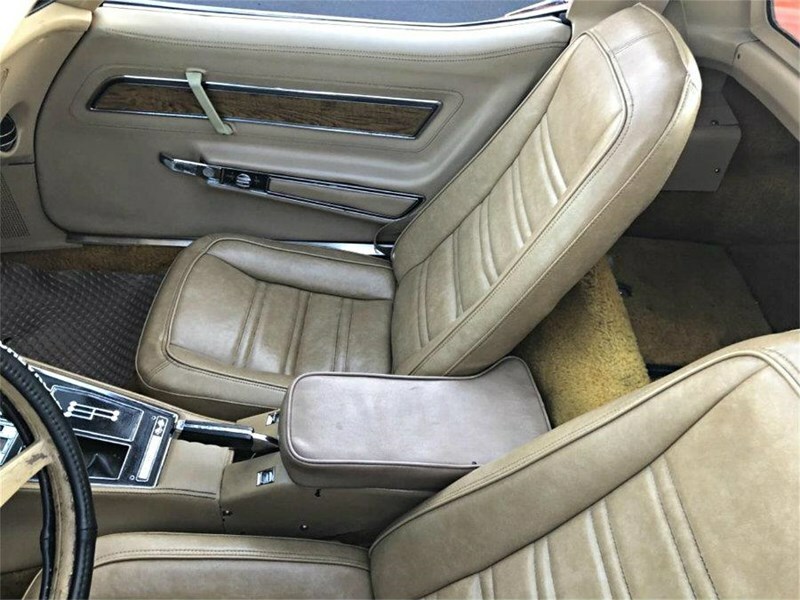 It is worthy of note that sales were at an all-time high for this 1976 year. 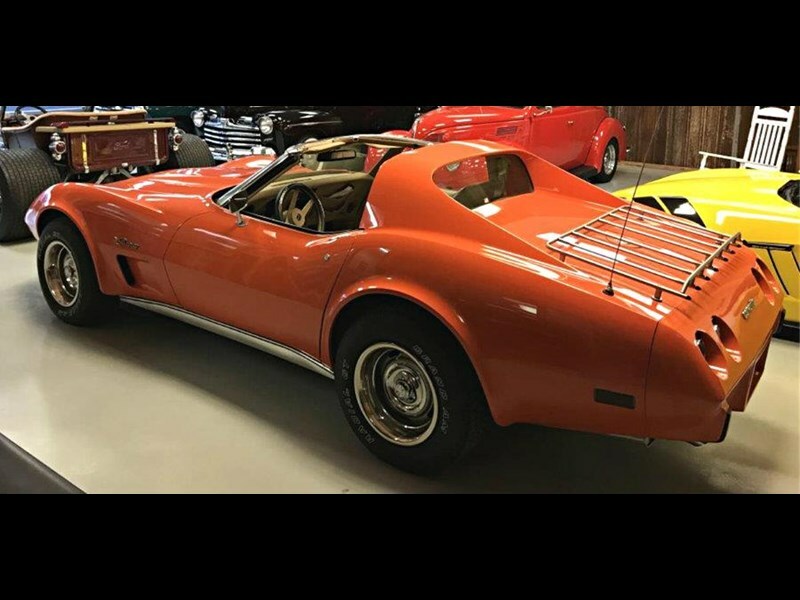 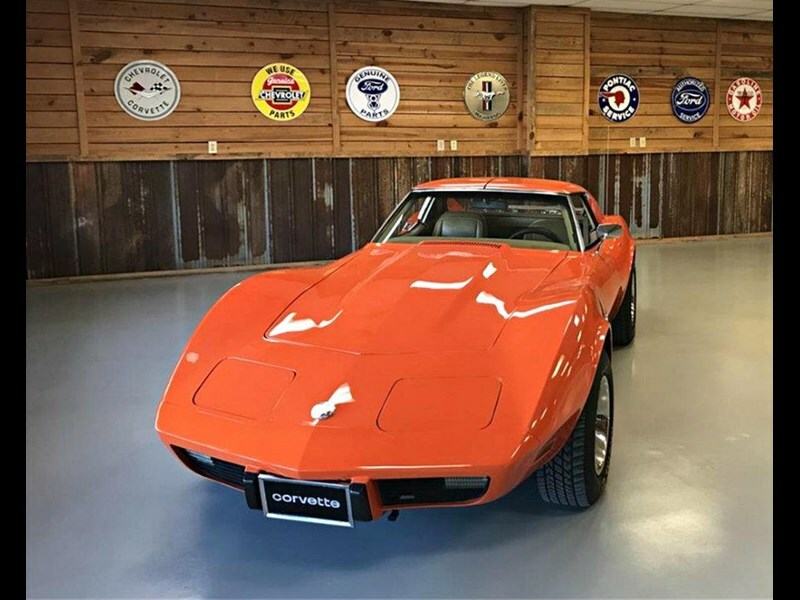 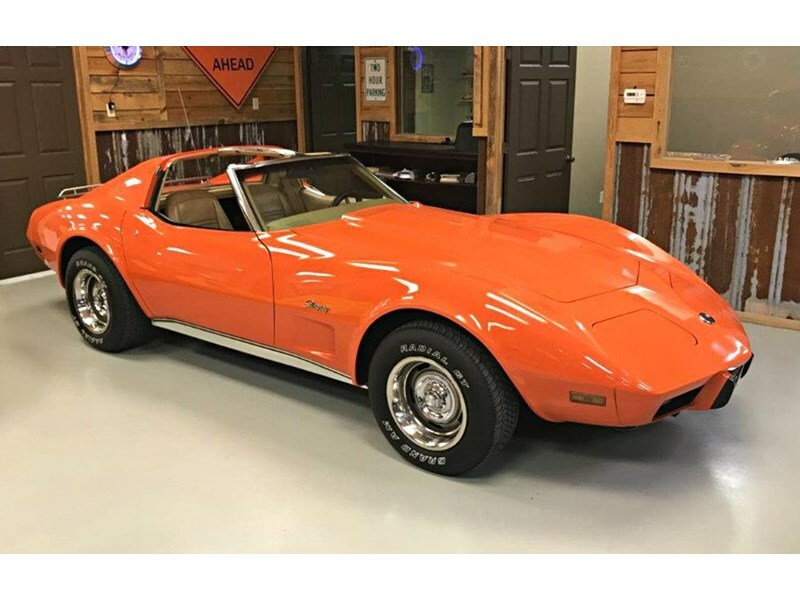 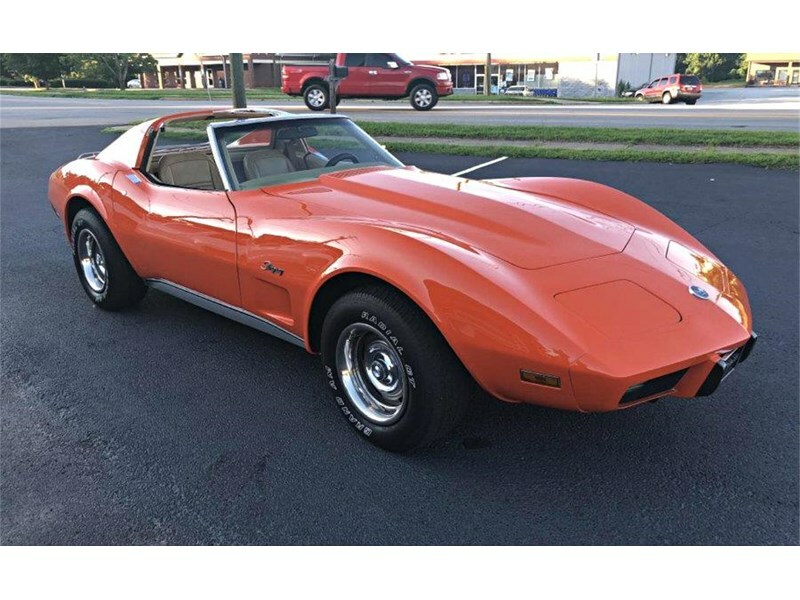 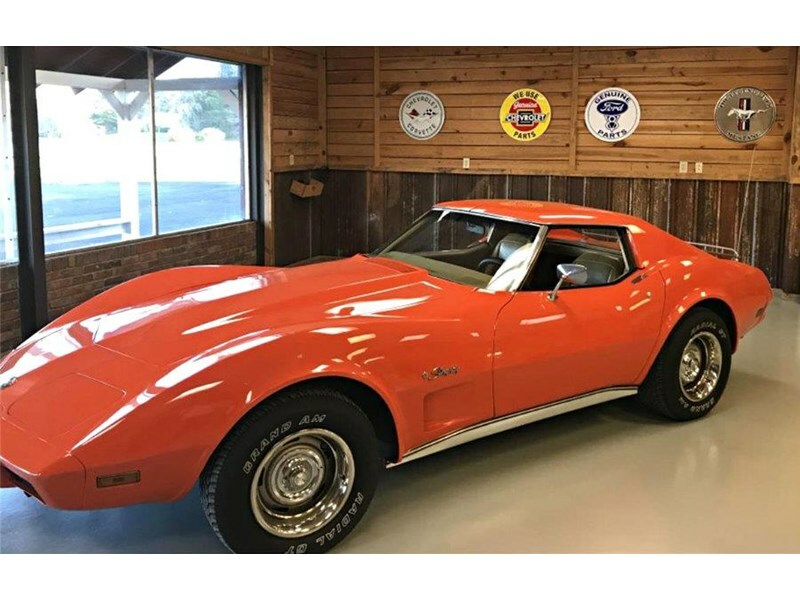 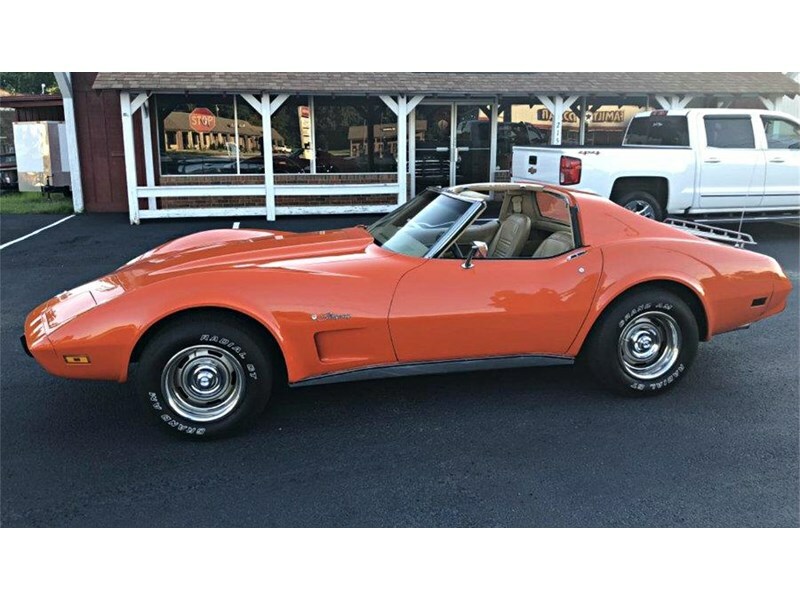 This Orange Flame C3 Corvette Stingray has all the original body work, interior and drive train. 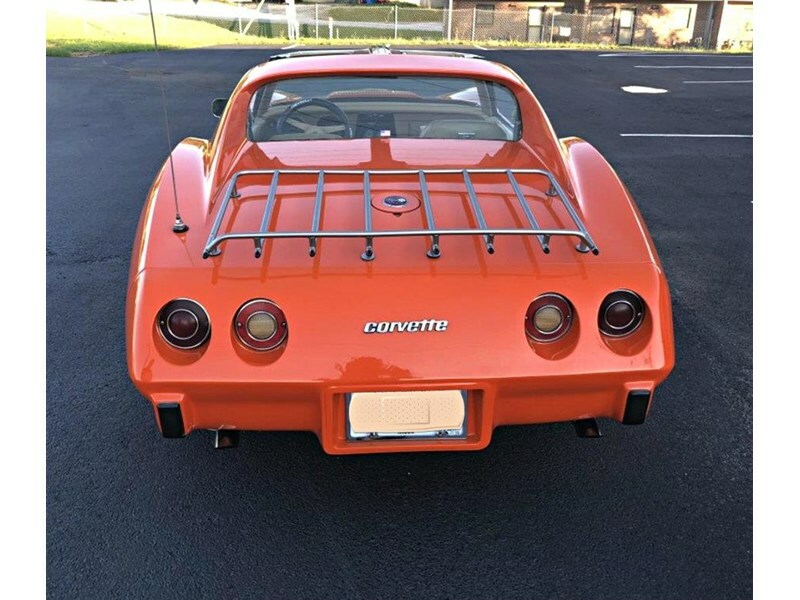 Given it's original status, it's value will increase better than most of these cars which have been modified. 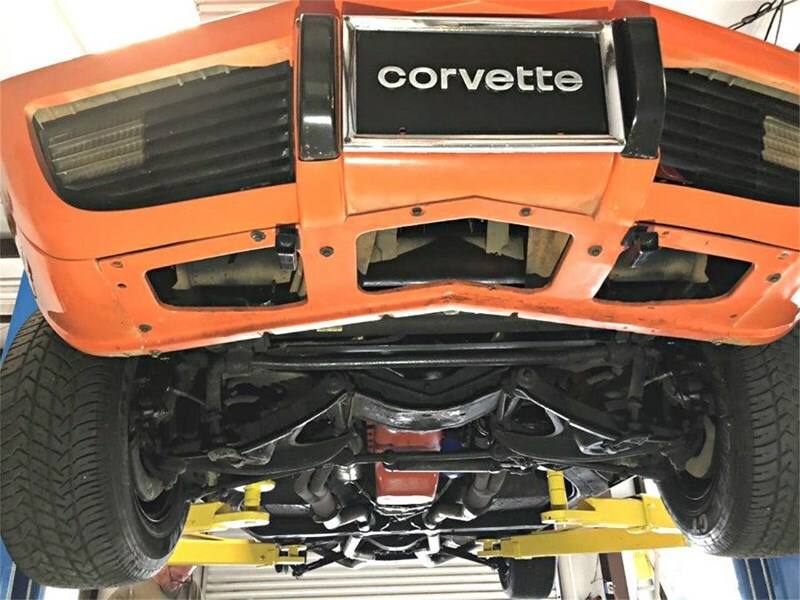 It runs and drives as it should and is a 'rust-free' car. 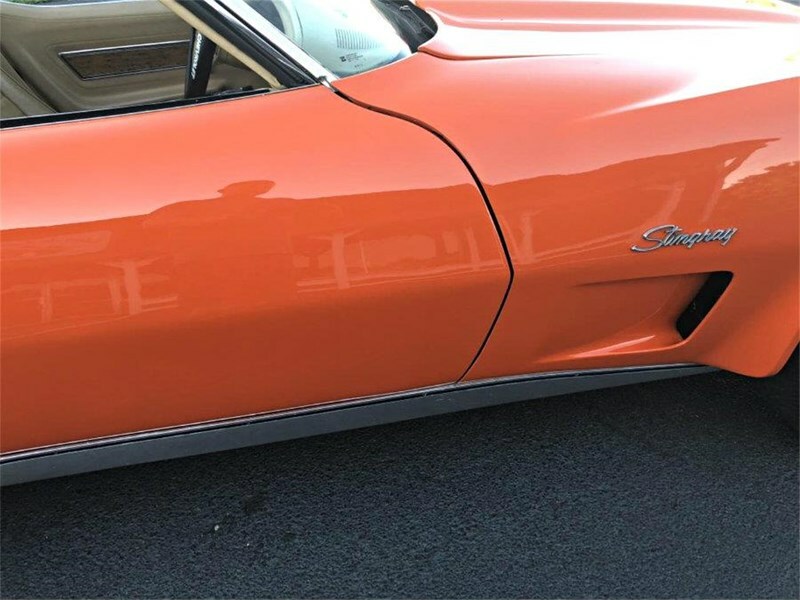 This Stingray is in very good condition both cosmetically and mechanically. 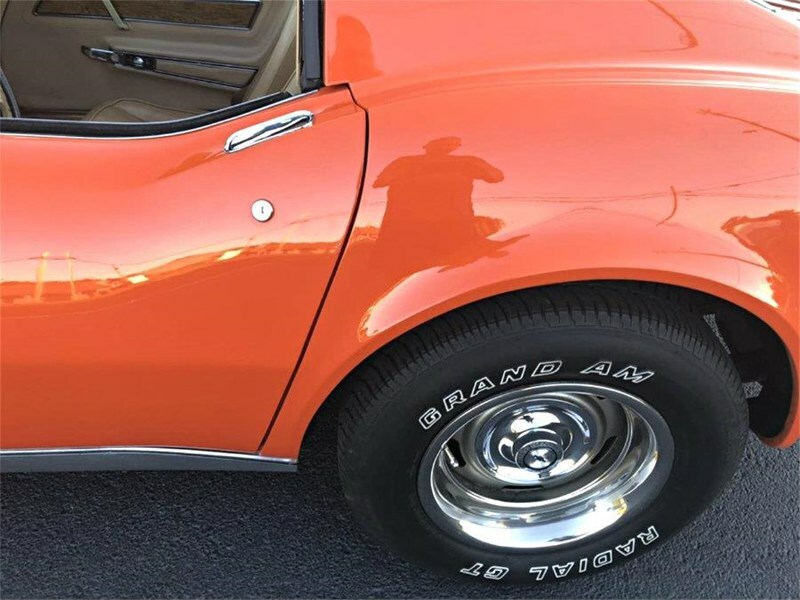 The body, paint, all chrome & glass, and the interior of this car are in excellent shape. 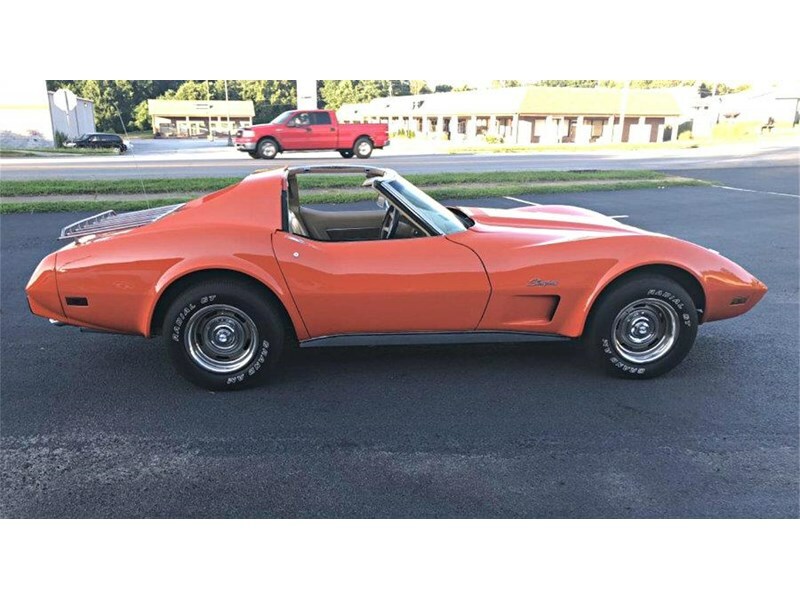 Check out our other makes in stock, or arriving soon, including Buick, Cadillac, Dodge, Ford, GMC, Mercury, Oldsmobile, Plymouth & Pontiac.